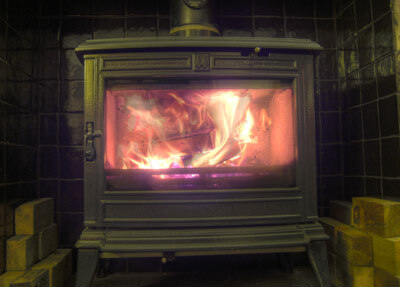 >After this post DH & I decided to spend some of our saving on a Wood Burning Stove so that we could save on our fuel costs. Luckily DH was able to install it which greatly reduced the cost. So far we haven’t had a problem sourcing wood & we’re using the central heating for a minimal period each day just to keep the chill off the rest of the house. I absolutely love the fire & am looking forward to being home over Christmas & having it on all day. * Photograph courtesy of DD using HDR. >I love wood burners. We have bought one (a lucky 2nd hand find) but just need to find time to knock out the chimney etc. We have an open fire but there is something about woodburners that I prefer. >Sorry you’ve had such a rubbish time recently 🙁 But, I would like to say that we’ve had our stove for a year and a half, and we’ve saved loads on gas bills, so it pays for itself pretty quickly 😀 And there is nothing, absolutely nothing, like a winter with a real fire 😀 I can’t see us going back to a gas fire at all! Just one last thing though – make sure you season the wood you find if you aren’t buying it pre-seasoned, or it is a pain to light and mucks up the stove and chimney liner. We get lots of rubbishy wood from skips (you have to be brazen!). Or veg box delivery person posted a note on his newsletter, and now he collects timber from DIY etc on his delivery rounds. Might be worth a notice in your local Post Office or newsagent… or on freecycle?